A recent Revenue Ruling by the Commissioner of State Taxation has now made clear that the use and implementation of including the phrase ‘and or nominee’ in a contract, most likely for the purchase of land, is no longer required. A word of warning. If you think it is now safe to begin executing contracts for the purchase of land on behalf of family and friends and so on, think again. Signing a contract for the purchase of land, or any contract for that matter, is a serious step and should not be undertaken without considerable thought and legal advice. If the intended purchaser, perhaps your friend, pulls out of the deal or fails to settle, the vendor will sue YOU. After all, you signed the contract and until settlement occurs you are required at law to fulfill all of the purchaser obligations, including to settle and purchase the property. First things first, what is ‘and or nominee’ and why was it frequently used? By using the phrase ‘and or nominee’ after the name of a purchaser, allowed one party to sign the physical contract for the purchase of land, whilst reserving the ability to register the actual owner of the property recorded on the title deed in another. The best example is the purchase of property at an auction. Once the bidding has ended the highest bidder must immediately execute the contract for the purchase of the land. On many occasions, the intended purchaser may not be able to physically attend the auction but has given authority and instructions to a third party to bid and execute the contract on their behalf. In such an instance, the actual purchaser, Mr X, authorised and instructed the winning bidder, Mrs Z, to execute the contract. The name of the purchaser would be recorded as Mrs Z and or nominee. 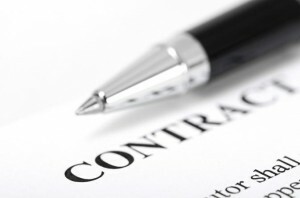 Shortly after the contract was signed the letter of agency is produced and the Memorandum of Transfer is drafted with Mr X appearing as the actual purchaser. What is often overlooked is that the letter of agency must pre-date the execution of the contract. Another avenue for those that have executed a contract for the purchase of land to own it in another name is to assign the contract by way of a deed, another short written contract. In our previous example, if the letter of agency did not exist, or perhaps Mrs Z and Mr X wish to hold the land in a company which has not yet been created, Mrs Z can assign her interest in the contract by deed to the new company. When it comes to Stamp Duty, a State assessed tax enshrined in the Stamp Duties Act 1923, which is charged on certain documents and transactions (usually where a transfer of ownership has occurred), it has been the previous practice of the Commissioner for State Taxation to require evidence of duty being payable not only on the Memorandum of Transfer but also the Deed of Assignment. Stamp Duty on the Deed of Assignment is paid on the amount of the deposit paid. Back to the new ruling. The Commissioner of State Taxation has confirmed he will adopt and recognise the existing common law that a purchaser recorded in a contract may direct (without the need for a deed of letter of agency) the vendor who to transfer the property to. This will now avoid the need for letters of agency, Deeds of Assignment and the use or overuse of the phrase and or nominee. Signing any sort of legal document without legal advice is risky. You should always seek professional advice on all legal documents before signing. Welden & Coluccio Lawyers are here to assist and can provide expert legal advice on a range of written contracts including the purchase, or sale, of real estate property.